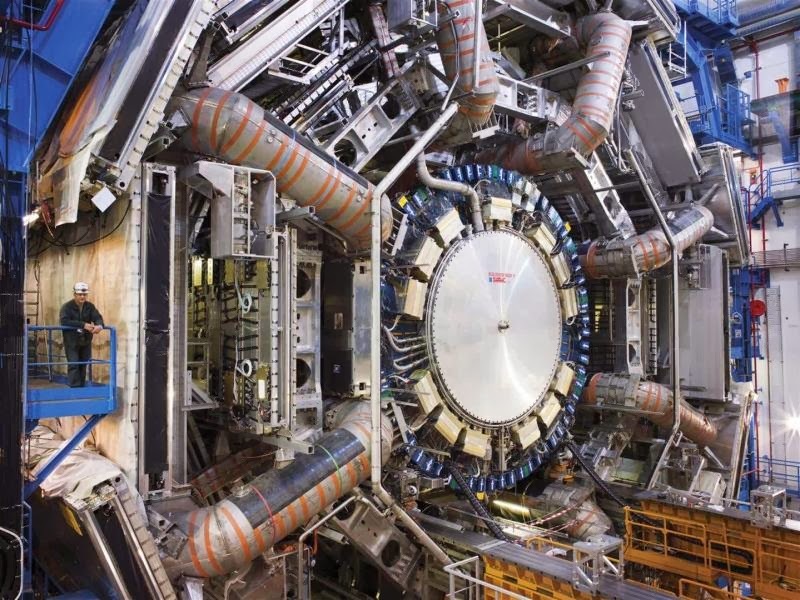 The ATLAS experiment at CERN has released preliminary results that show evidence that the Higgs boson decays to two tau particles. Taus belong to a group of subatomic particles called the fermions, which make up matter. This result measured at 4.1 sigma on the 5-point scale particle physicists use to determine the certainty of a result is the first evidence for a Higgs decay to fermions. 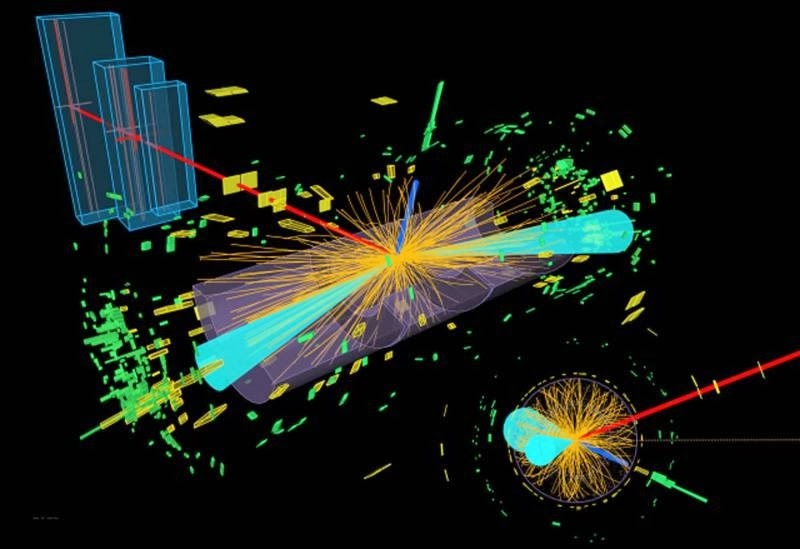 On 4 July 2012, the ATLAS and CMS experiments at CERN announced the discovery of a new particle, which was later confirmed to be a Higgs boson. The Higgs boson lives only for a short time and disintegrates into other particles. The various possibilities of the final states are called decay modes. So far, ATLAS physicists had found evidence that the Higgs boson decays into different types of gauge bosons the kind of elementary particles that carry forces. The other family of fundamental particles, the fermions, make up matter. The tau is a fermion and behaves like a very massive electron. The Brout-Englert-Higgs mechanism was first proposed to describe how gauge bosons acquire mass. But the Standard Model predicts that fermions also acquire mass in this manner, so the Higgs boson could decay directly to either bosons or fermions. The new preliminary result from ATLAS shows clear evidence that the Higgs boson indeed does decay to fermions, consistent with the rate predicted by the Standard Model. This important finding was made possible through careful analysis of data produced by the LHC during its first run. Only with new data will physicists be able to determine if the compatibility remains or if other new models become viable. Fortunately, the next LHC run, which begins in 2015, is expected to produce several times the existing data sample. In addition, the proton collisions will be at higher energies, producing Higgs bosons at higher rates. ATLAS' broad physics programme, which includes precision measurements of the Higgs boson, will continue to test the Standard Model. The years ahead will be exciting for particle physics as the LHC experiments have found new territory that they have only just begun to explore.